Around 3 months are left to say Adieu to 2018 which was a year of full new technology developments that push us to embrace the future tech. However, many technologies those carry forward from 2017 are maturing this year. They are now more stable in 2018. What are the 2018 technology trends worth noting? And look at 2018 Top Ten Technology trends of 2018. 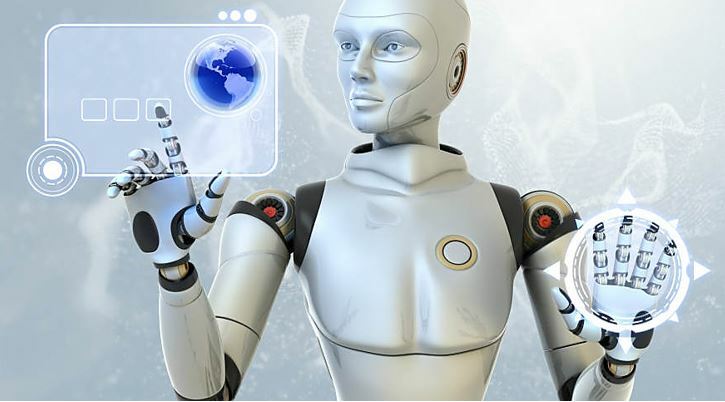 In 2018, human technology can be said to be a year of rapid development of various technologies, from AI artificial intelligence to Vehicle Automation, from the development of the Internet of Things to the introduction of voice control devices into the home, or the technical renovation of mobile phones from the inside out. 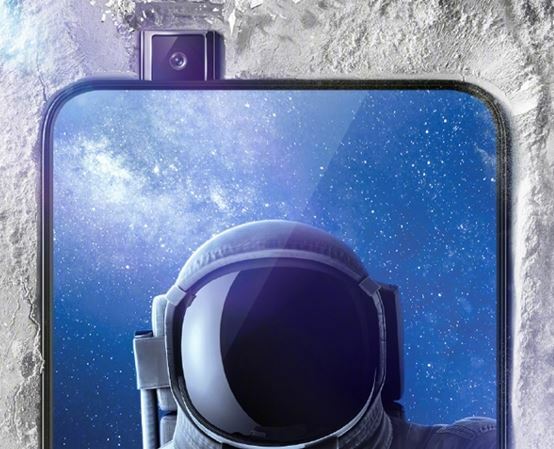 Full-screen mobile phone to face recognition and display fingerprint unlock and then add the latest 5G high-speed network. 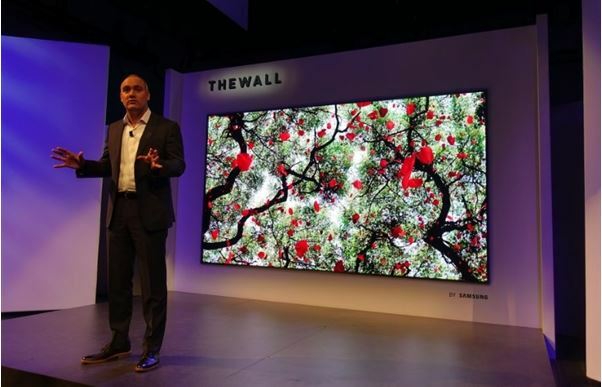 In addition, the new Micro LED display technology is expected to bring another new world to the mobile device panel that little bit slow this year. The new revolutionary era of mobile phones is coming soon; On the one hand, the technological development of the virtual world is also worth seeing. 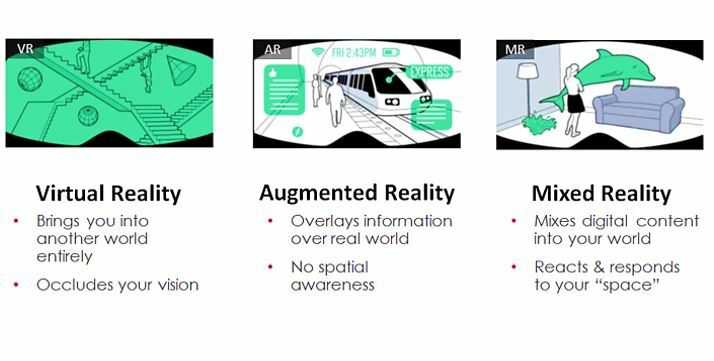 In 2018, the augmented reality is taking the lead. Is there a chance for the new rising reality to be a dark horse? Finally, the blockchain technology development in the financial industry? Nowadays, AI just jumped out of the experimental stage of the laboratory. At this stage, the development is very similar to the Internet that just sprouted in the early 1990s. Although there will be an infinite application in the future, everyone can still understand it. I don’t know where to start. The impact of AI on the future will be divided into two levels, one is the transformation of products and services themselves, and the other is the use of AI in the production process, management and business processes to promote industrial upgrading. Gartner, a well-known international research and research institution, also named it, and all walks of life will be affected by it, from electronic components, Netcom industry, semiconductors, to the automotive industry, and robots. AI small word big meaning, some experts saying this will led a beautiful automated future of human being and others are condemning this with a belief it would become a cause of human extinction; if it started using in wars or hacked by some eccentric person. God Knows!! However, it is one of the most popular technology of the year 2018 which every tech company trying to integrate in their own devices. Artificial intelligence successfully able to bring changes by automating the business operation, and reshaping our industries by powering the software and manufacturing technologies. Extremely large enterprises already understand the value of AI and implementing it smooth the business process, implementing the AI strategies and more. Big example is Chat bots, now used by the companies to solve the minor problems of their customers without involving and using the real man power. Although this also a threat of losing jobs, those don’t upgrade themselves and knowledge to survive in the future. Whether it is Digital marketing, Banking system finance, healthcare, education, transportation, and more; already have implemented the smart algorithm to automate the process and analyse the human behaviour. Driverless technology has been around since 1980. As the 21st century, Autonomous car technology has advanced by leaps and bounds, and related industries have sprung up. Some people in the auto industry expect that unmanned driving is expected to be 2030 years ago. Can be popularized. Tesla, BMW, Renault and other car manufactures already have their self-driving prototype and they keep enhancing them. For example, the Renault has an Autonomous car which they call SYMBIOZ, a level 4 autonomous that can drive without human interference on the busy highway. They also said that they are planning to launch one of such vehicles to market in 2023, just what they need is the government approval. If the Self driving vehicle need to be successful, in addition to the relevant regulations to follow up, it must also be equipped with its own sensing technology, positioning technology, decision-making technology, all of which are indispensable. Sensing technology means that the vehicle should be able to detect the surrounding conditions in the real-time driving situation, the positioning technology can actually send the passengers to the fixed point, and the decision-making technology is to combine the above technologies to make appropriate judgments. In fact, all countries in the world are eager for the concept of “Self-driven vehicles”, especially many technology companies and automobile manufacturers have invested in the development of unmanned vehicles, such as Google, Apple, Uber, Tesla, B&W, etc. The “Autopilot” vehicle that Tesla has officially produced is the most. Although it is still impossible to achieve true driverless driving, Tesla’s automatic driving has been able to predict land traffic conditions and improve driver safety. In addition, last year, Tesla launched an electric truck with “running” technology, flaunting multiple trucks that can “automatically” follow the lead vehicle. Gartner said that with the development of the current driverless car, there will be an opportunity to see the driverless car driving on the road under conditional, detailed and controlled conditions by 2022, but the general-purpose self-driving Cars, at least for the next five years, may still need to have a driver’s seat in the driver’s seat to prevent technical problems without warning. The Internet of Things is a new technology service that all countries in the world are striving to promote. 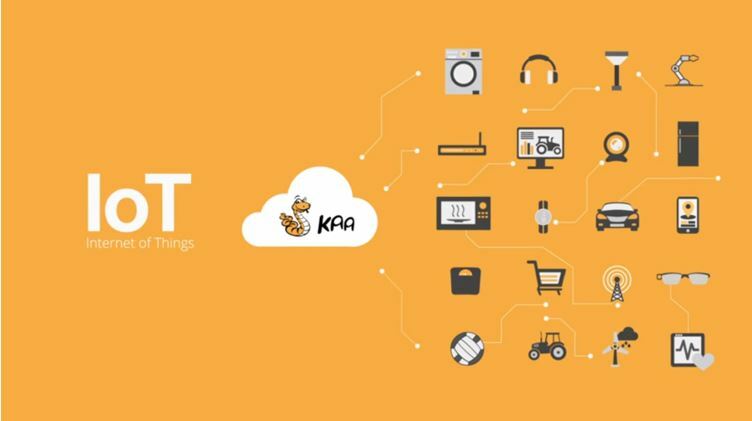 Nowadays, the Internet of Things has become one of the recognized future development trends in the world. It is gaining popularity in society at an extremely fast pace, changing the industry and taking the industry to a new level. In the 2018, the number of devices in the Internet of Things will continue to increase. This will not only refer to mobile phones and laptops, but we will be exposed to more and more smart devices in our daily lives, such as smart doors and smart phones, Door locks, security camera, smart refrigerator etc., will increase the number of processes that will take advantage of the IoT process to make it more accurate. In addition, the range of use of mobile devices will be wider. In the process, in order to connect with the ever-increasing smart devices, people must have personal devices for managing smart homes, and smart phones will play an important role. The most concerned security issue in the development of the Internet of Things is actually the most important part of the technology industry in the development of the Internet of Things. Especially today, cyber hackers and blackmail events are frequently transmitted. Once a large number of devices using the Internet of Things appear, hacking will a serious problem and need we need to enhance the security on endpoints for example our homes those are using IOT, but not much aware of security measures to take. Therefore, before realizing all the innovative IoT plans in real life, we must first consider potential security vulnerabilities and ensure data security. It will be the primary concern for the promotion and popularization of the Internet of Things in the future. In the past two years, the smart speaker has been the hottest industry topic in voice control devices. In 2016, Google launched Google Home, which has attracted the attention of many industries. 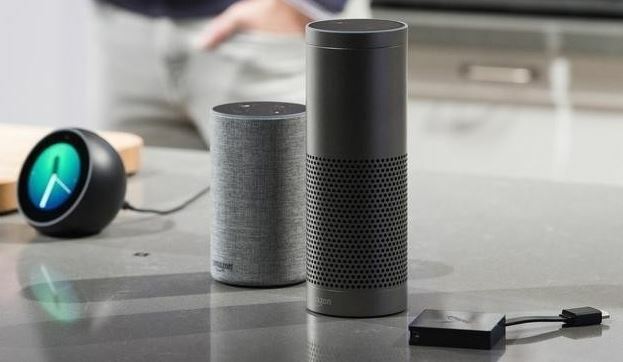 Google Home has got some update in its features this year, and now has the ability to connect to many home IoT products, allowing users to view the status of different devices through simple voice commands.” On the other hand, Amazon is not to be outdone. Amazon Echo, which has been in business for many years, continues to evolve and improve, and with the voice assistant Alexa, it can achieve the same effect as Google Home and is very popular. Today, the field of smart speakers can be said to be a hundred schools of thought in 2018. Smart Speakers is one of the important industries that every manufacturer wants to compete in 2018. With the booming of the Internet of Things, the future of smart homes will become a new trend. The era of replacing the keyboard with a mouse has evolved to this day. Smartphones have now become people’s lives. The most important mobile device, the smart butler will liberate both hands in the future, through voice recognition and voice feedback, you can complete the small and small things in daily life. Just like the Jarvis assistant in the future movie Iron Man may seem to be true now! Apple’s flagship iPhone X is equipped with the face recognition unlocking system Face ID, which has attracted the attention of many industries and the general public. However, the face recognition technology is not the first time. The main role of the face recognition is to limit permissions and ensure security. After Apple officially applied face recognition to smartphones, other mobile phone manufacturers in the future will follow this trend. 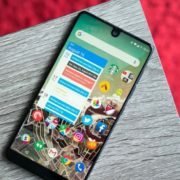 In fact, recently, OnePlus has launched the latest flagship mobile phone OnePlus 6, which also has a face unlock feature that also implemented in the previous generation OnePlus via OTA upgrades. Also, the OnePlus 6 face unlocking speed is much faster than iPhone X. It can be seen that the function of a mobile phone with face recognition will be more accurate in the future. 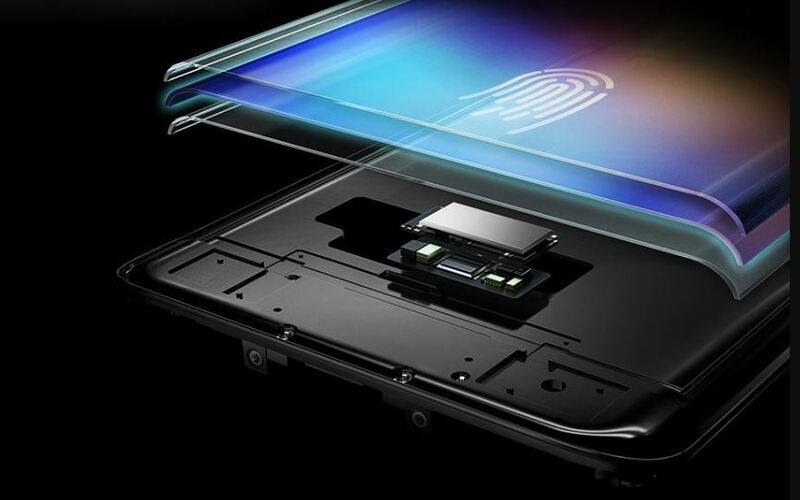 The Fingerprint sensor which got a revolutionary change this year instead of embedding it on the front or back of the phone is now moved under the Phones’ display and the Vivo is the first smartphone manufacturer that has integrated into their phone which is available in the market too. With the following trend, the upcoming One plus 6T may be with under the display fingerprint sensor. Today, when the biometric system is applied to the smartphone security function after fingerprints and faces have been applied, what will be the next security key? 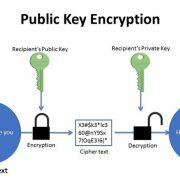 Recently, it was pointed out that the assistant professor at the State University of New York found an unlock. The new method of mobile phone: “sweat”, sweat is unique to everyone, and mobile phones or other wearable devices can constantly learn the uniqueness of sweat and establish the ability to recognize the user’s sweat to help unlock them. It is even expected that the “sweat ID” will be commercially available in the next five to ten years. When fingerprints, faces, irises, sounds, signatures, and even sweat can now be used as a biometric condition to unlock a smartphone, what kind of “special” biometrics technology develop in future will really unique & exciting. The introduction of new technologies and concepts is often accompanied by a high price. At present, although most of the full-screen mobile phones are the flagship, after 2018, the full screen will be “decentralized” to the intermediate mobile phones, and it will begin to become popular. People will no longer need to spend a lot of money to enjoy the visual experience of a borderless phone. When the full-screen mobile phone is popular, what will happen to the next advanced smartphones? What kind of new gimmicks will be introduced to promote buying and even lead the way? The next step for Android vendors may be dual-screen phones, citing industry news according to DigiTimes. 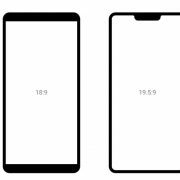 People pointed out that in order to compete with large-screen phones such as the iPhone X or recently launched iPhone XS Max, many Android phone manufacturers, including Huawei, OPPO, and Samsung, are interested in launching phones with dual-screen folding designs. It is also reported that other Chinese manufacturers such as OPPO are actively submitting patent applications. In addition, Samsung has filed a patent application for folding smartphones in the United States. The company is already working on a prototype. The biggest advantage of the foldable or dual screen mobile device is that it can provide a better experience in multi-tasking operations, such as opening different applications on two screens or providing more screen input space and easy viewing in large screen mode. However, its shortcomings are also obvious. The biggest problem is that the hinge mechanism connecting the large flexible screen to make them foldable can easily damage. In addition to the dual-screen mobile phone, in fact, the flexible screen has always been the key to the development of mobile phone manufacturers. Although there are no formal hardware specifications and exterior design debuts for dual-screen phones and flexible phones, it can be expected that after the emergence of full-screen phones, changes in mobile phone screens will be more flexible in coming years. Intel said that as smartphones and more mobile devices continue to evolve, 5G is officially one of the most influential technological changes. Through a partnership with the International Olympic Committee, Intel will let everyone understand and experience the future 5G technology. Mobile operators in various countries are working to adopt 5G technology with a more positive attitude. In the case of the Internet, the popularity of 5G will surpass the historical mobile network technology. Compared to 4G mobile communication technology, 5G provides faster data transmission rate (the theoretical download speed of 5Gbps), expands wireless communication coverage and reduces network latency, in applications other than the consumer, such as vertical industries such as industry, transportation, and medical. Expansion. In the month of May, the OPPO partners Qualcomm & shows 5G Phone Demo in which they downloaded the 1GB Video in just 6.8 Seconds. 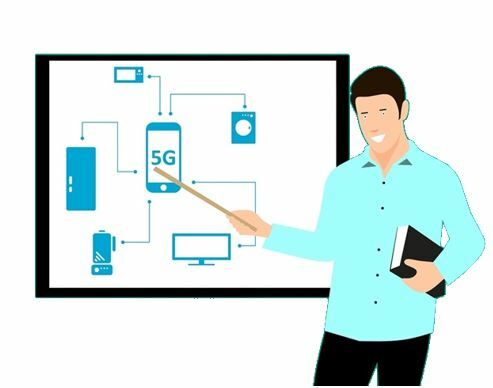 Although many telecommunications manufacturers in various countries around the world are already actively promoting the development of 5G networks, there are related stages to provide demonstrations, and 5G networks are expected to launch across the world by 2020. Snapdragon X50 5G Modem chip already in the market designed to support 5G networks. Whether it’s virtual reality (VR) or augmented reality (AR), in the past two years, it has changed the small details of people’s lives. On the other hand, Pokemon Go, which was launched in the summer of 2016, officially brought up the mobile AR augmented reality and created a business opportunity of 1 billion US dollars. This kind of technology boom is also seen in the eyes of many technology manufacturers. Related applications, such as Microsoft’s development of second-generation AR chips, Google Glasses 3 etc., the most obvious is the enhanced camera AR application brought by Apple’s new software iOS 12. Due to the current popularity of AR in smartphones, AR seems to be more popular and popular among general consumers than VR because it requires additional use of the headset. AR only needs a camera with a smartphone to do it, and it is more convenient for the general public. In the future, VR and AR will provide a more “immersive experience”. VR is to digitize things. AR is to digitize real objects into virtual ones. The two will complement each other and form a new mixed reality MR experience. Microsoft’s Windows Mixed Reality, formerly known as Windows Holographic, is a mixed-reality platform developed by Microsoft that allows users to interact with virtual scenes in an environment where real and virtual scenes coexist, and can be used with Windows Mixed Reality headsets. Perform a variety of mixed reality applications and games. Although the speed of launching MR-related products and applications is not as fast as the other two in this year. Micro-light-emitting diodes (Micro LEDs), which are known as the next-generation display technology, have lighted the dawn of the industry. The related co-chains have gradually formed shapes under the brand’s major manufacturers. Micro LED future market size is expected to reach 30 billion to 40 billion US dollars. Micro LED technology is a technology that miniaturizes and matrixes LEDs. It refers to a high-density, small-size LED array integrated on a single chip. It can be seen as a miniature version of a large outdoor LED panel with a pixel distance of millimetres. 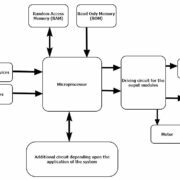 Reduce to the micron level. What are the advantages of such a technology? First, it inherits the advantages of high efficiency, high brightness, high reliability and fast response time of LED, and has the characteristics of self-illumination without backlight, more energy saving, simple mechanism, small size, Thin and other advantages. For example, if Apple’s iPhone X uses a Micro LED panel, the resolution will be easy to look at 1500 ppi, which is much higher than the original 458 ppi displayed by Retina. However, at present, the biggest disadvantage of Micro LED is the cost. If it is applied to a large area, it will also face the problem of yield. In the future, the specifications of Micro LED products will be quite dispersed, and the categories of applications will be differentiated. Although the new display technology of this era is still going to be a long way before the wide application, according to the latest news, Apple is working with TSMC. Working together to solve the technical bottleneck of Micro LED, Apple plans to use its own Apple Watch with Micro LED panel in future. Both Apple and Sony have begun to deploy the Micro LED market in small-sized watches and large-size large display panels, but there will be more manufacturers in the future with VR/AR as the layout direction, due to the need for Micro LED displays for smart watches. Faced with the price competition of traditional displays, VR/AR is a more imaginative market. The blockchain technology used by the virtual digital currency bitcoin has become a key core for the financial industry to grab financial technology abroad. The banking industry has been very keen on the blockchain because the technology and digital currency have Closely related, NASDAQ has already adopted blockchain technology to build its own new trading platform. However, the blockchain is not limited to financial applications, but can also be applied to areas such as government revenues, supply chain supply, smart contracts, and crowdfunding platforms that require more regulatory and traceability. IBM Institute for Business Value Research In collaboration with the Economist Intelligence Unit, surveys were conducted in 16 countries and 200 government units. The results indicated that 90% of government agencies around the world are planning to invest in the blockchain. The biggest problem solved by the blockchain in the “transaction” aspect is the “intermediary credit problem.” Traditionally, it is very difficult for two people who don’t know each other and trust each other to reach an agreement. They often need to rely on third parties as a medium. For example, “payment behaviour” is a clear example. In the past, any kind of transfer, there must be an institution like a bank. However, through the blockchain technology, Bitcoin is the first time that changed the human beings transfer behaviour and now both parties can trust each other without any intermediary involvement. 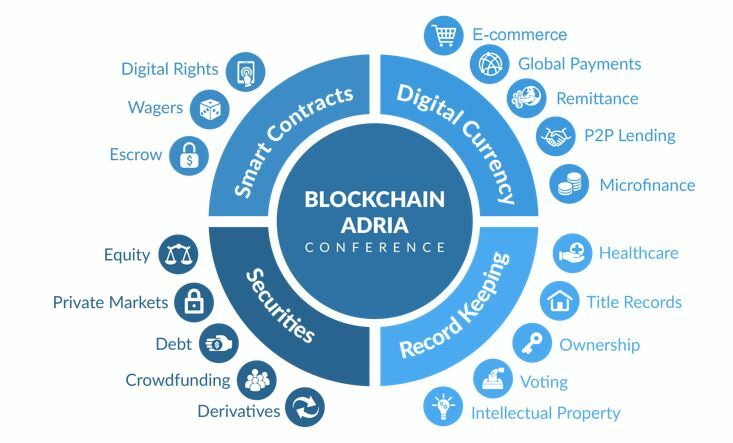 Blockchain technology has moved from concept to implementation, and enterprises and governments have improved the acceptance of blockchain technology. In 2018, the blockchain business tested out in large-scale applications and moving from the implementation phase to commercial deployment. Even under the premise that government agencies attach great importance to it, blockchain technology has unlimited potential in 2018, and it is even enough to subvert and completely change the existing money world, business, and society. The world’s sought-after bitcoin is only one of them. The application of blockchain technology, there may be many things that can be done with the blockchain in the future. Since the blockchain still has technical entry barriers, banks or financial institutions must understand and accept the blockchain, find a blockchain that everyone can recognize, and finally apply it to the transaction. I am afraid there is still a long way to go. However, it is conceivable that after the global era began to enter the blockchain era, banks that are still using traditional databases are bound to face elimination. Does water conduct electricity, but why? Is there a love triangle?